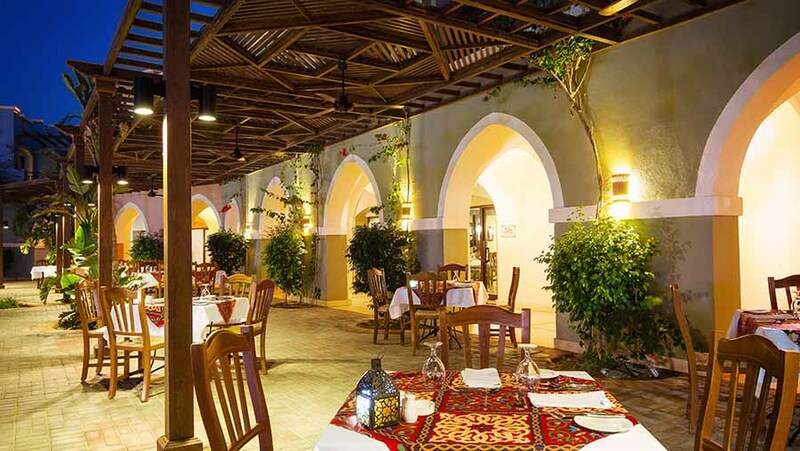 Jaz Dar El Madina is an elegantly simple, well designed and tastefully decorated resort overlooking the tranquil and beautiful Coraya Bay in Madinat Coraya. 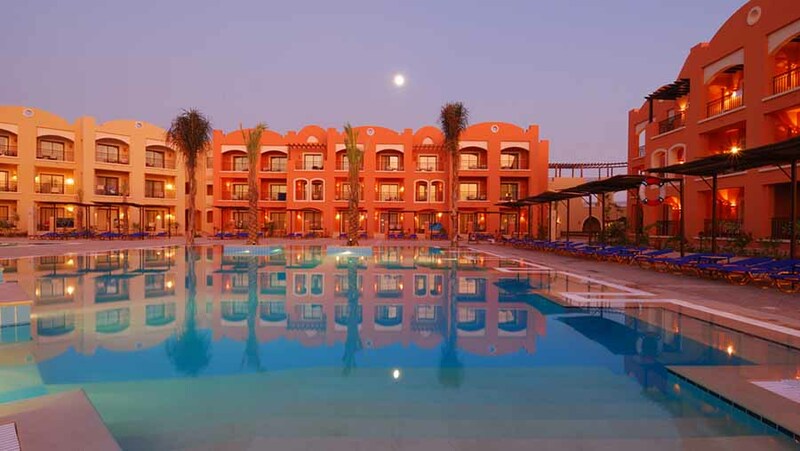 Just 5 km from Marsa Alam International Airport, this four-star resort has easy access to the waters of the bay through its own private beach. 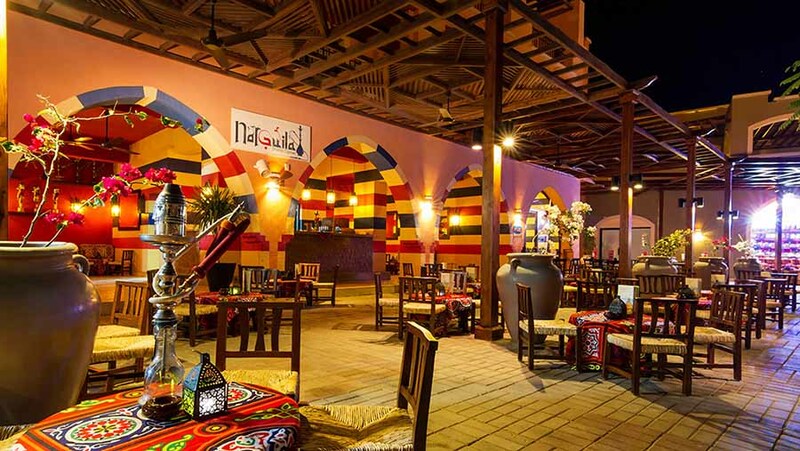 Perfect for a great family holiday to Egypt, this cozy and comfortable resort provides everything you could desire in the ideal beach holiday. Hotel facilities include a permanently manned reception and lobby facility with Internet and Wi-Fi access (free 150 MB) in public areas, a choice of specialty restaurants, cafés and bars, two swimming pools including one just for kids as well as shops, animation programs, live music and cabaret entertainment in the evenings. Visit the fully equipped gym or go to the nearby diving center and try the short diving courses (at an extra charge). 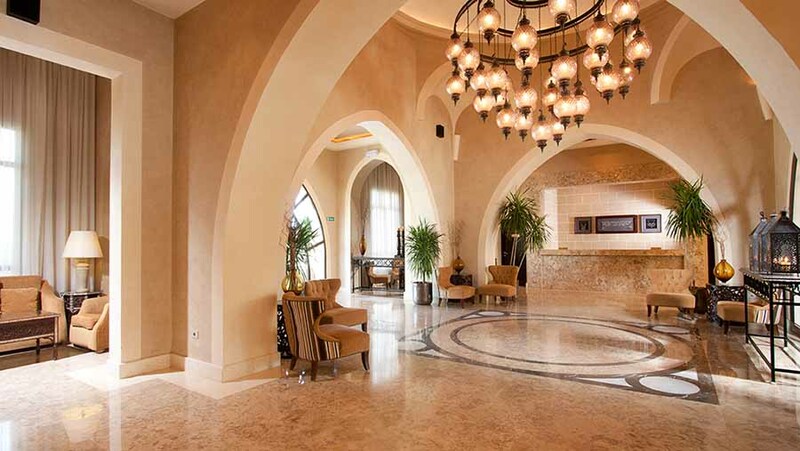 Indulge yourself with a sauna, steam bath, massage (at an extra charge) or Jacuzzi at the nearby Jaz Solaya resort. For your peace of mind, an in-house doctor is also available. A kids club runs daily to provide supervised childcare & special activity programs for children between the ages of 4 and 12. The all- inclusive package is particularly good value for money, covering full board with all food and drinks, a welcome drink on arrival and afternoon tea with a selection of cakes and coffee every day. 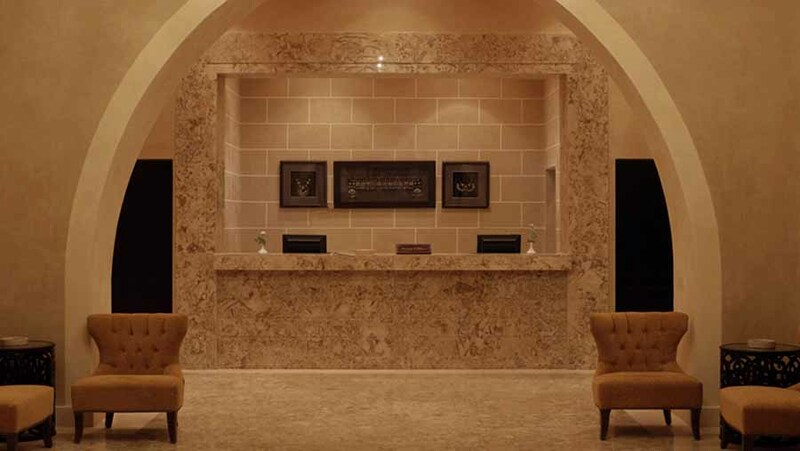 Jaz Dar El Madina has 140 comfortable and pleasantly furnished guest rooms. 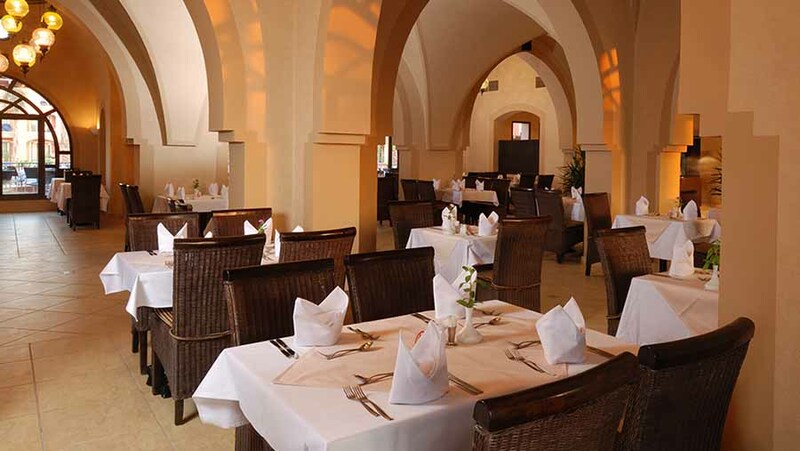 Jaz Dar El Madina offers a first class buffet style restaurant and café as well as friendly bars and a variety of specialty restaurants. 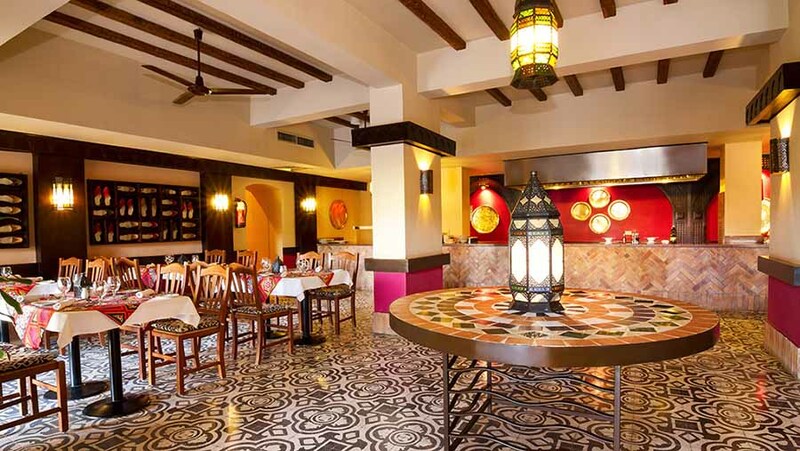 El Khan Restaurant is the main restaurant offering an extensive international buffet selection for breakfast, lunch and dinner featuring “a-la-minute" live cooking stations and a terrace for outdoor dining. Kholkhal Lobby Bar offers exotic and contemporary cocktails, drinks and fresh fruit juices. Madinat Coraya boasts some of the most beautiful diving sites and the most astonishing variety of marine life in the southern Red Sea. Dozens of large turtles feed in the bay and dugong can be spotted in its calm and serene waters too. Try snorkeling visit the nearby Diving Centre (www.coraya-divers.com) to get a taste of the world of SCUBA diving. All water sports are available at an extra charge. 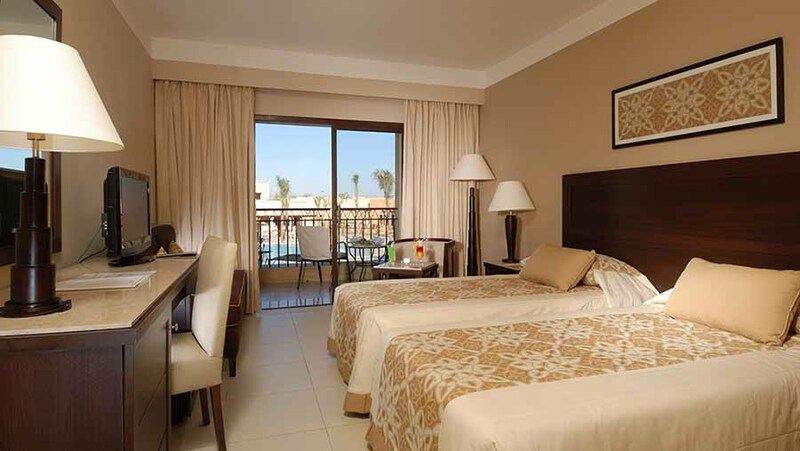 Even without the attractions of the Red Sea, Jaz Dar El Madina has endless recreation facilities. 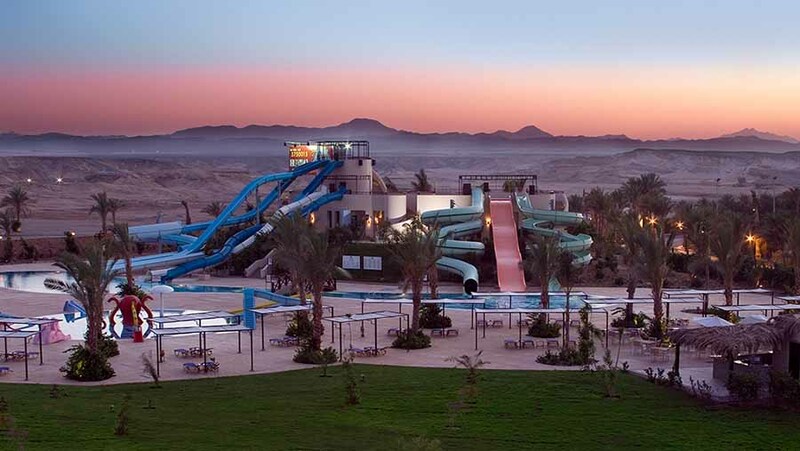 Heated swimming pool, plus a kid’s pool. Our enthusiastic animation team organizes fun and games as well as activities every day. Live music, dancing and cabaret shows are performed regularly in the evening at the hotel’s own theatre. So you can enjoy yourself even more on your own time, a kids club is open daily with supervised childcare. Special programs are laid on for your young ones aged between 4 and 12 that will ensure they are happy, busy and safe. 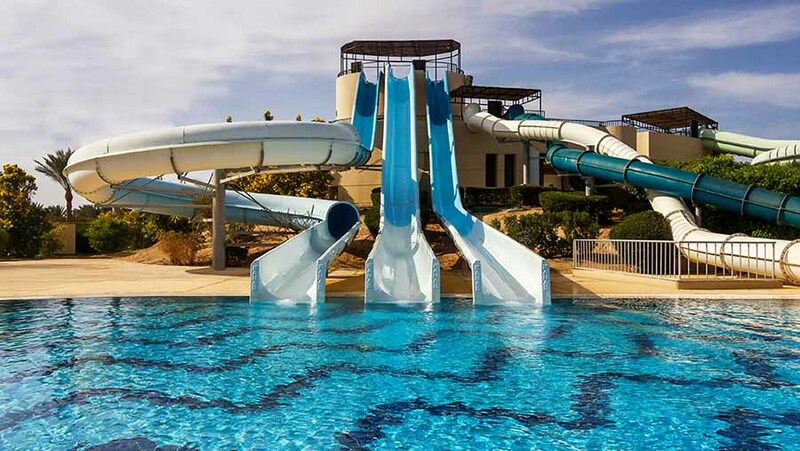 Children also have their own playground area and a separate heated freshwater swimming pool.